Gothenburg-born Anders Persson is a very fine pianist with a lovely touch and an impeccable technique. Not to be confused with Bo Anders Persson, the veteran left-field composer, the younger Swede is not concerned about breaking new ground. Instead, he is very happy to follow in the footsteps of his two main mentors – Bill Evans and Keith Jarrett. To date, Persson’s solo albums have been trio affairs, his partners either the rhythm team of bassman Yasuhito Mori and drummer Magnus Gran or, as in the case of this live album, Palle Danielsson ( such a cornerstone of Jarrett’s iconic and ground-breaking European “Belonging” Quartet with Jan Garbarek and Jon Christensen ) and the drummer/composer Terje Sundby. This was the line-up on his studio album Lonely Fungus, recorded eight years earlier. 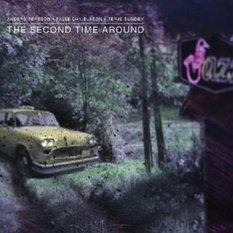 Clearly, Van Heusen’s “The Second Time around” is one of Persson’s favourite tunes since it also appears on the earlier CD. The musical make-up of the CD is thus: three Persson tunes, two by Sundby, one by Danielsson, two standards and one traditional Swedish melody – quite a mixed bag of goodies then. The musicians are very happy to play in triple time. There are four waltzes, some very quick affairs as in Danielsson’s driving “Palles huvudverk”, others more intimate and emotional like Sundby’s “En lille vals til Onkel Kaj”, Persson’s “Le Fruit Defendu” (a dedication to a Belgian beer!) having an underlying funky Latin groove to brighten things up. Of course, Bill Evans was the “Waltz King” of modern jazz piano. Since Persson is such an inveterate Evans devotee, it is hardly surprising that 3-in-a-bar rules OK on the album. The album begins in a state of total abstraction. “Torrent” is a very apt title for the opening statement. Swirling, watery, out-of-tempo figures abound, reminiscent of Jarrett’s free-wheeling Cecil Taylorish moments. However, freedom doesn’t last very long and we are soon in lyrical rumba territory. Samba is the order of the day in Persson’s “Choro para El Bife”, the sunny energy of this life-enhancing track guaranteed to put a smile on the face. The best is reserved till last with Cole Porter’s “Everything I Love” given a good old shake-up. Boldly, Persson chooses to begin the number in the form of a solo piano rubato introduction in the key of B, the harmonic and rhythmic language pure Bill Evans. Then, the pianist deftly moves into the usual key of E Flat for a swinging investigation of the tune’s possibilities, bass and drums joining the fray in a series of breathless improvisations. Sometimes the solos are Jarrett-like; other times the pianist could almost be mistaken for Evans, especially when he resorts to extended passages of rhythmic displacement. This is an enjoyable album but it could have been even more so if the spirit of freedom, adventure and abandonment that characterised the opening had been maintained throughout the album as a whole.